Previously known as Easter Love Experience, we have rebranded this event Easter Love Reach. Why reach? It is our desire to achieve the goal of extending love to you and your family during this season of Easter. All the activities are family friendly. 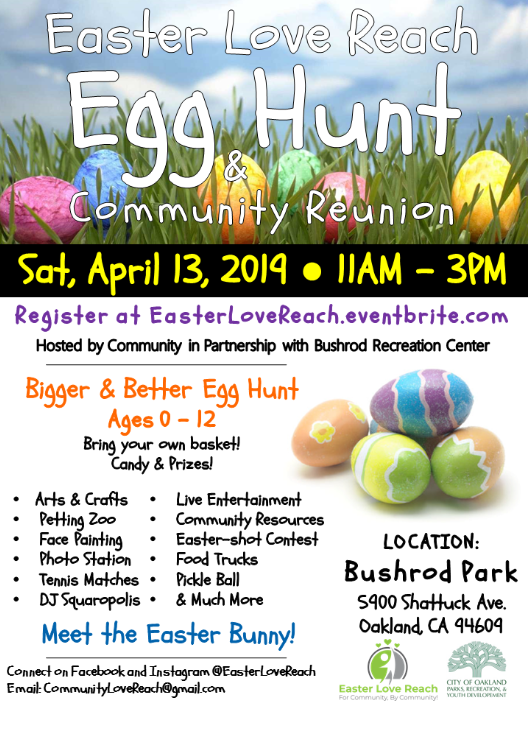 These activities include Crafts, Petting Zoo, Face Painting, Easter Bunny, Youth Activities, Egg Hunt, Reading Corner, Dancing, and more.